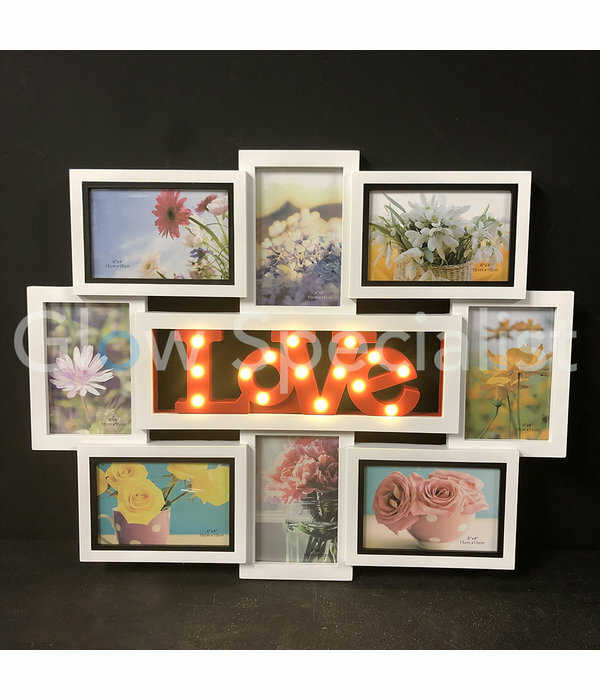 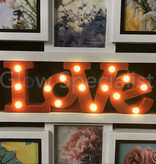 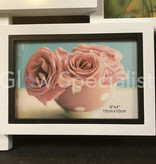 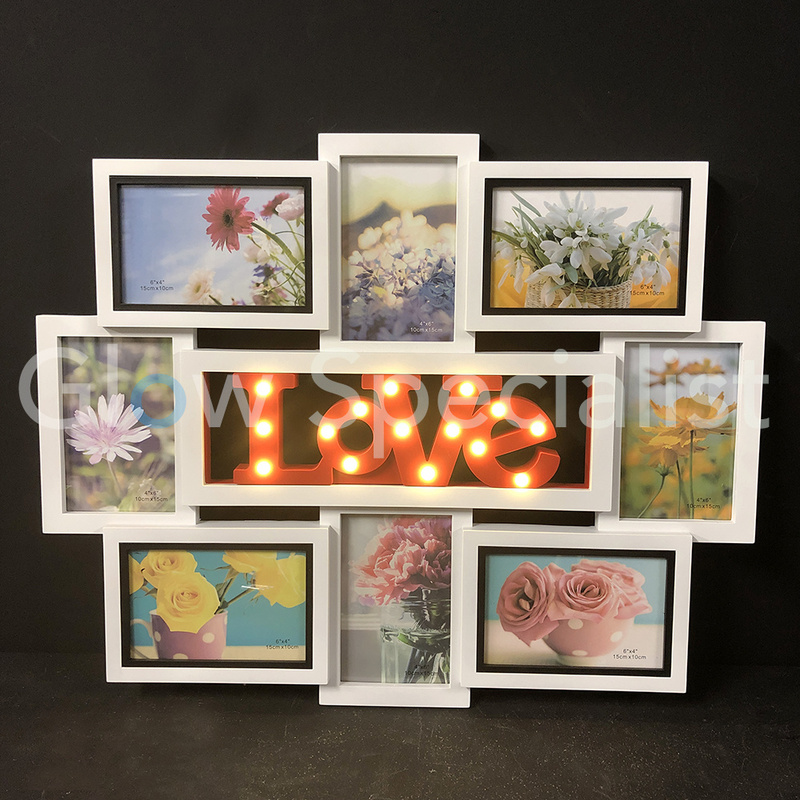 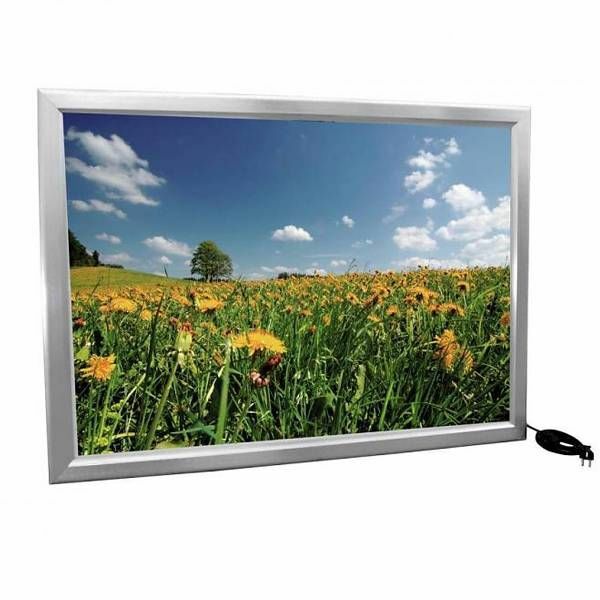 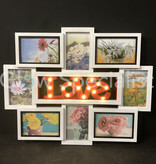 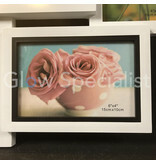 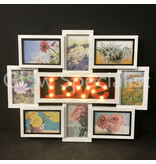 Bring some love into your home with this romantic photo frame! 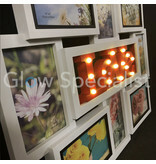 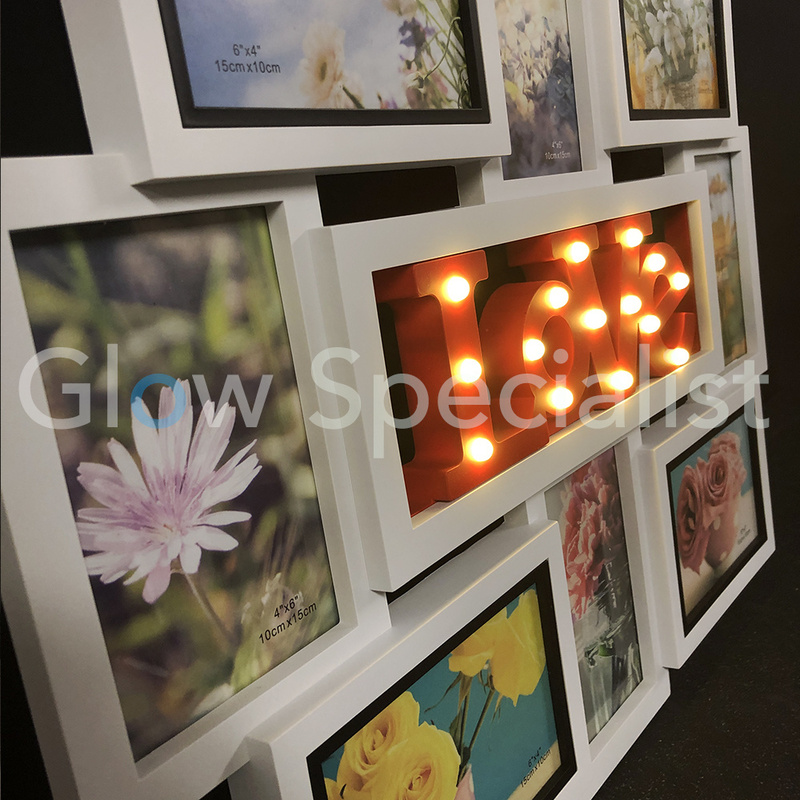 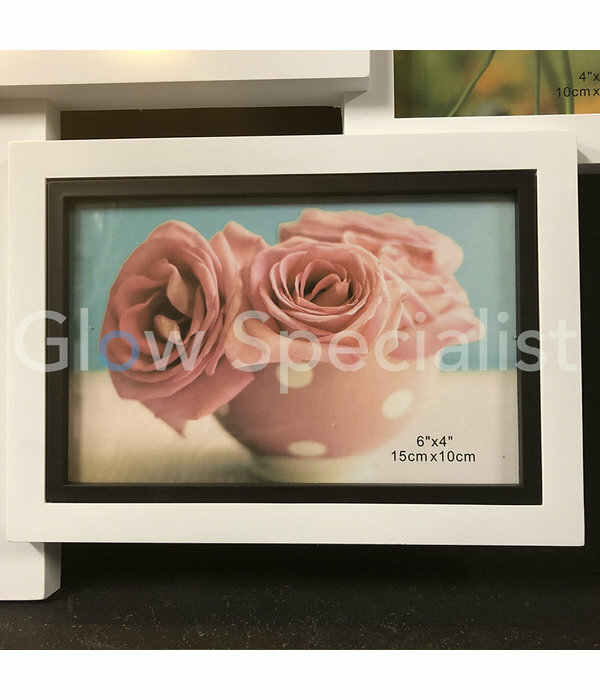 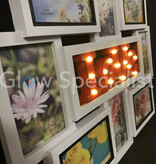 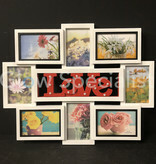 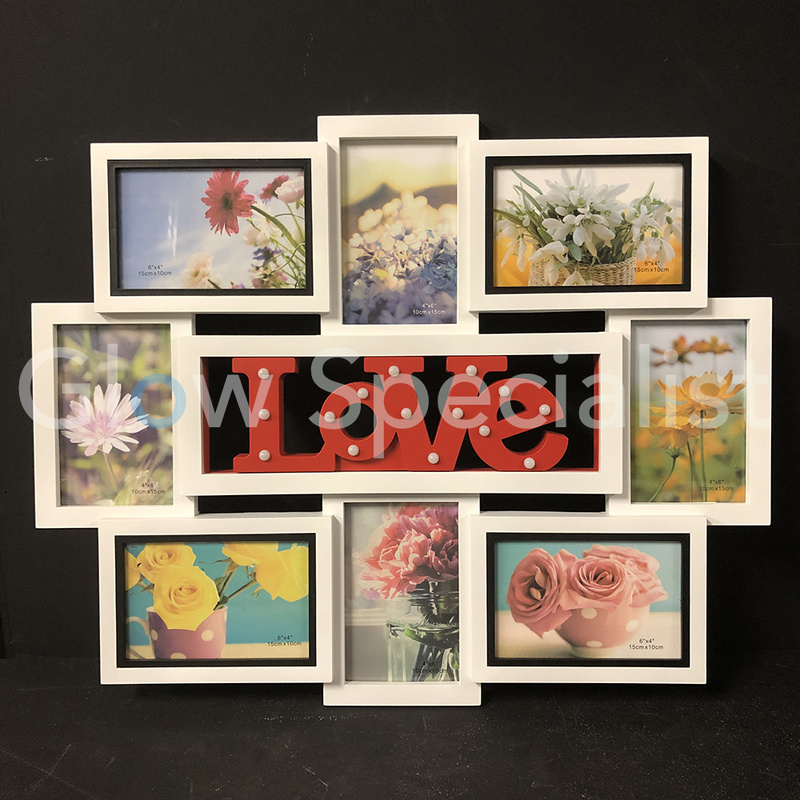 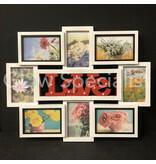 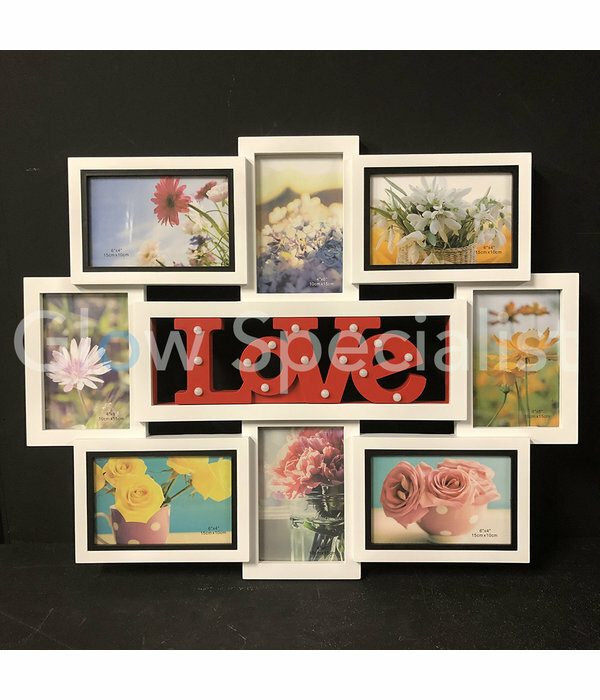 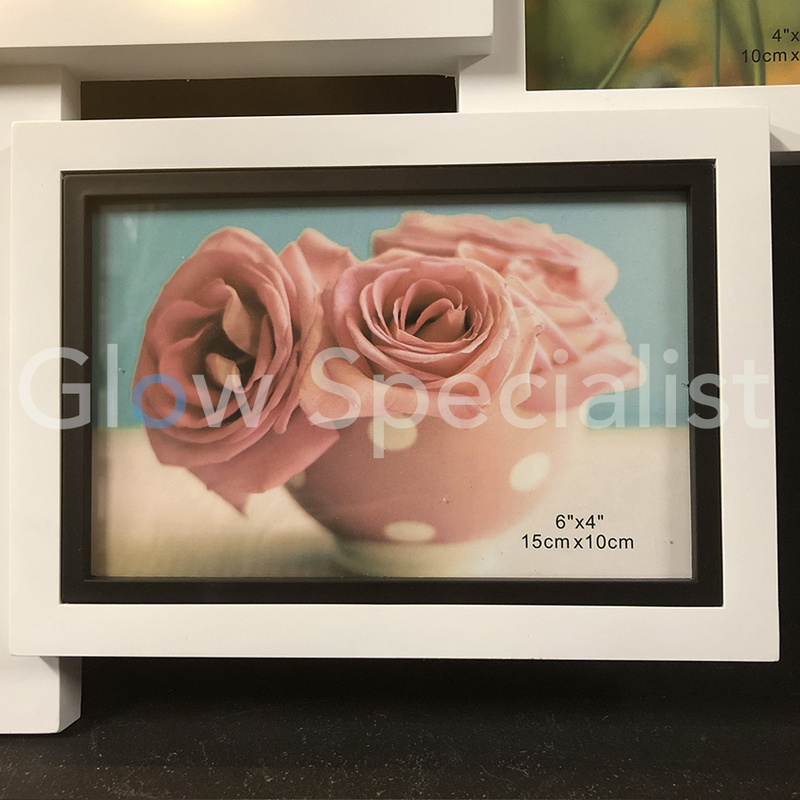 8 photos of 15x10cm fit in the photo frame. 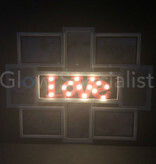 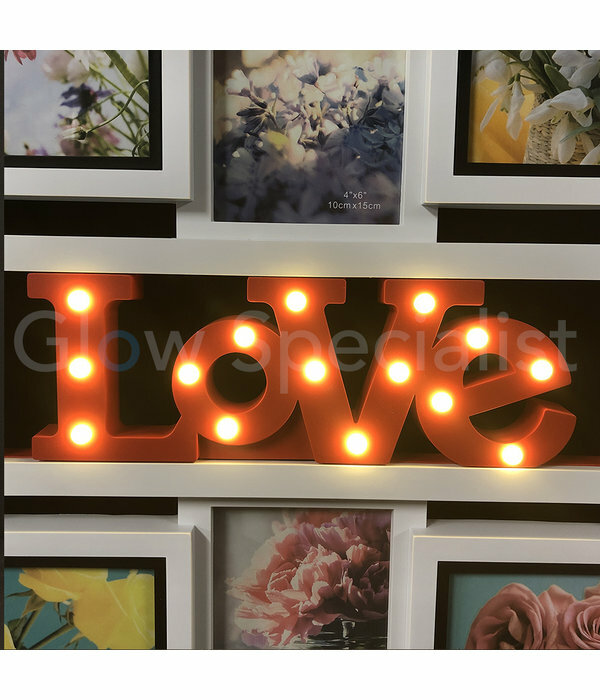 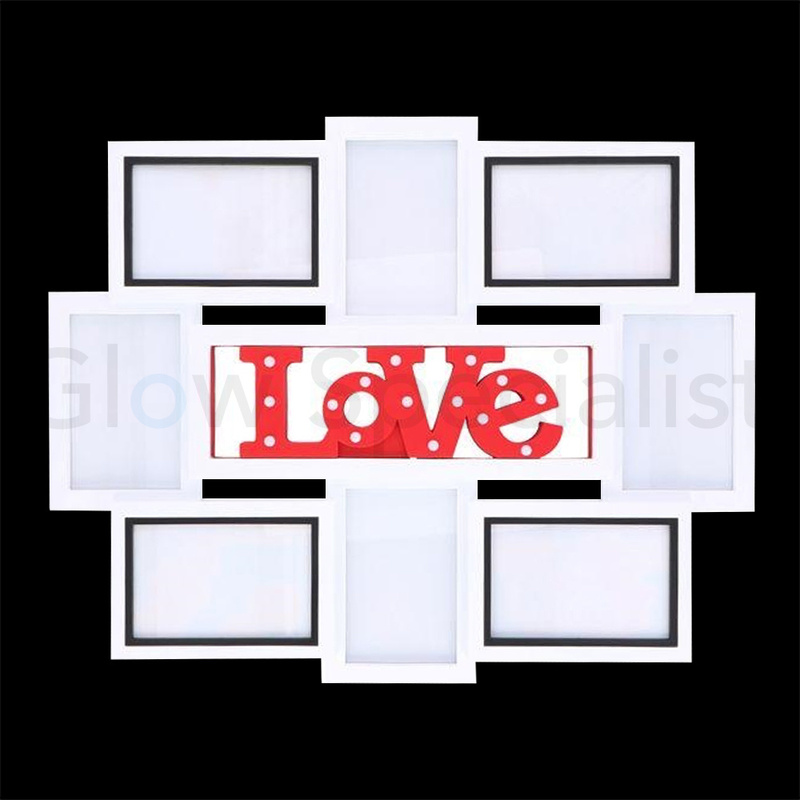 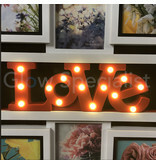 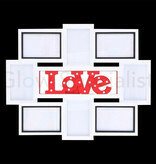 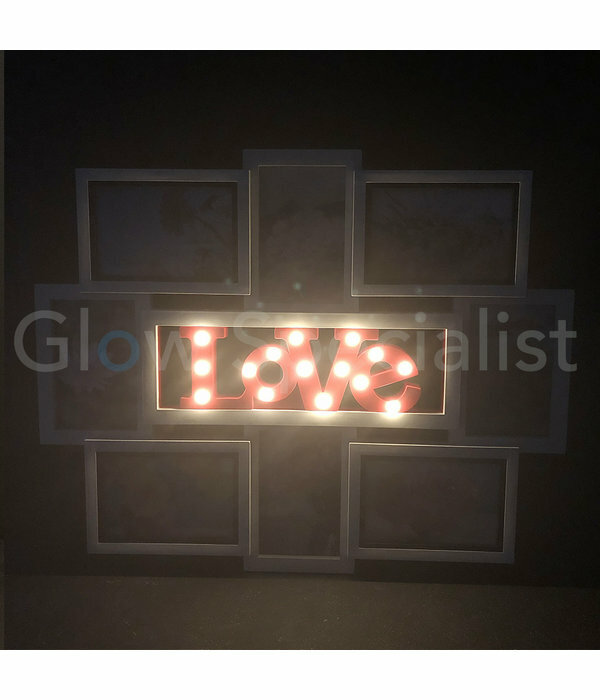 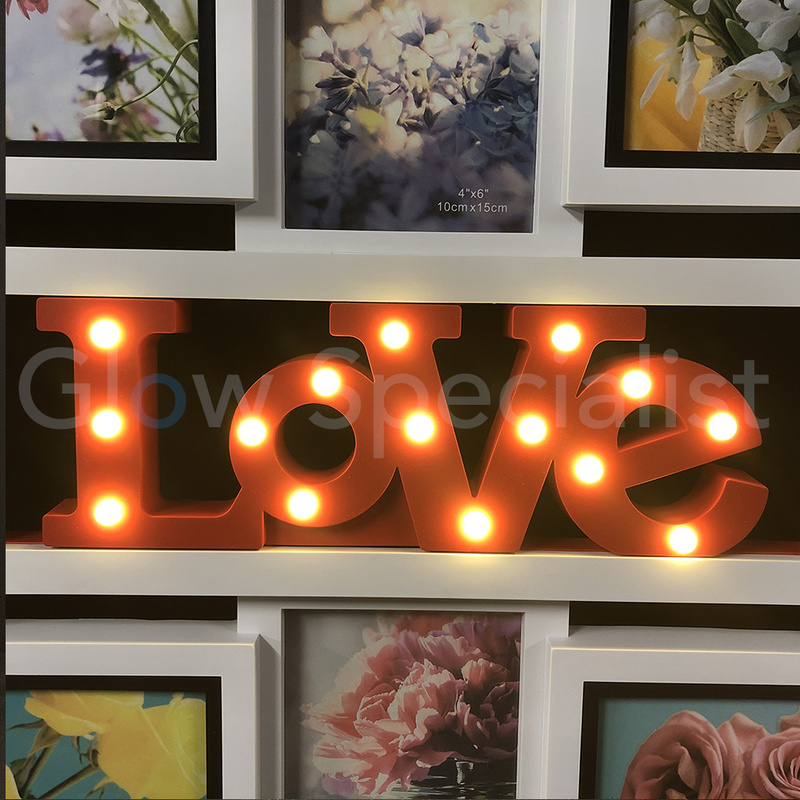 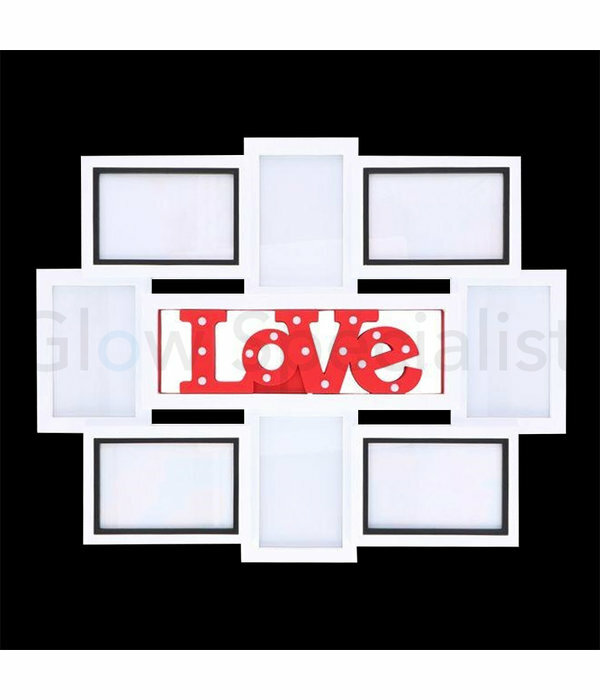 In the middle is LOVE in red letters with 15 LED lights. The list is white with black passepartouts. 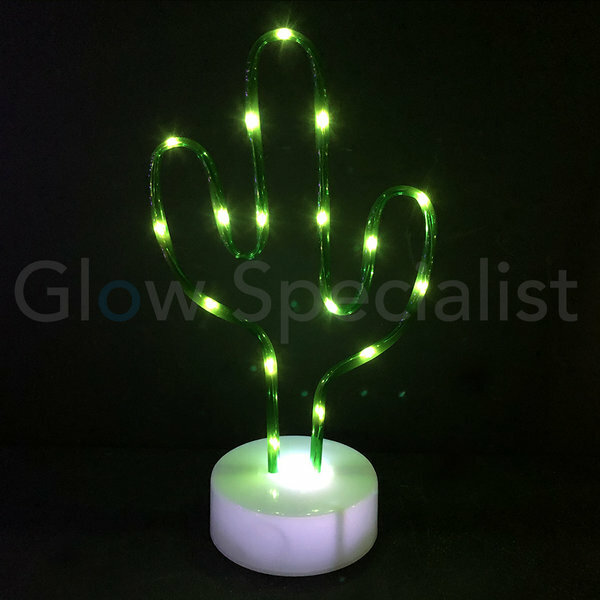 The LED lighting works on 2x AAA batteries. 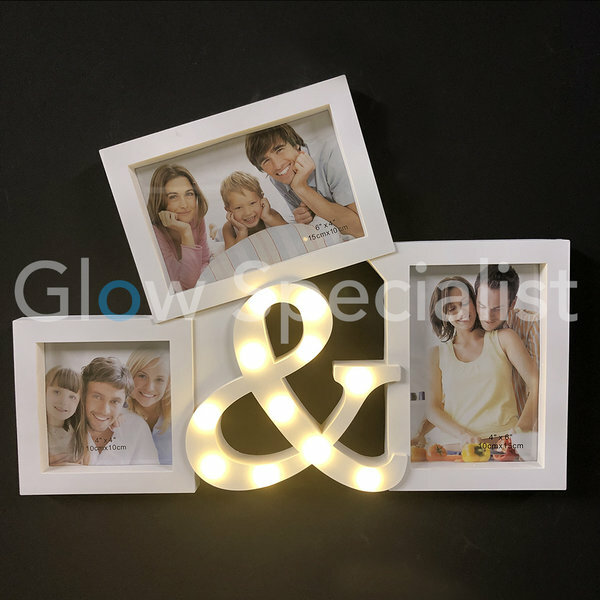 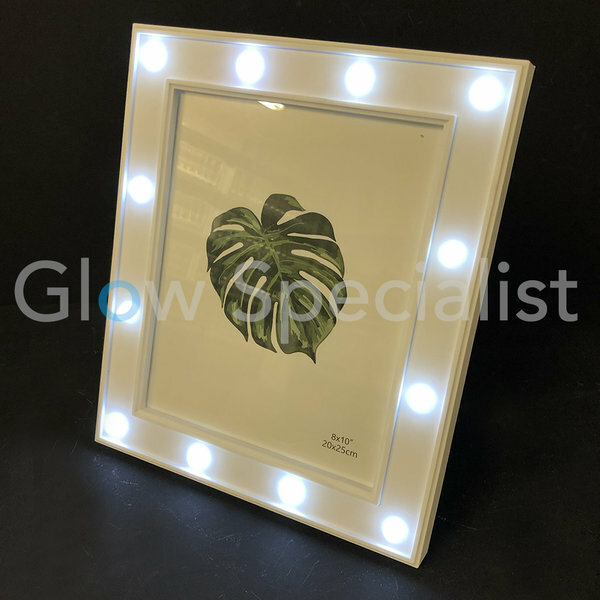 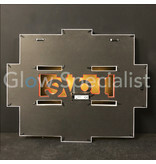 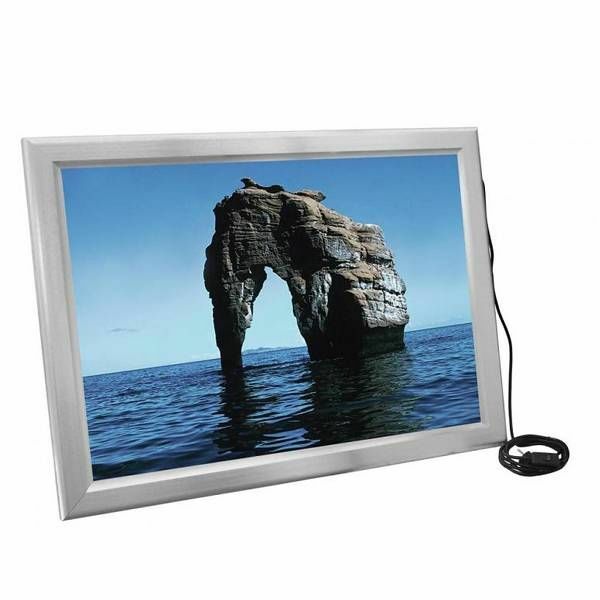 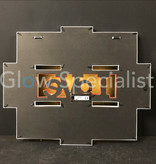 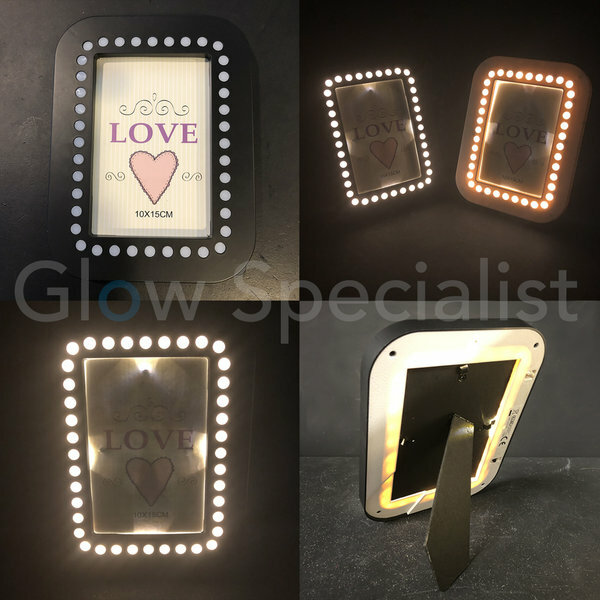 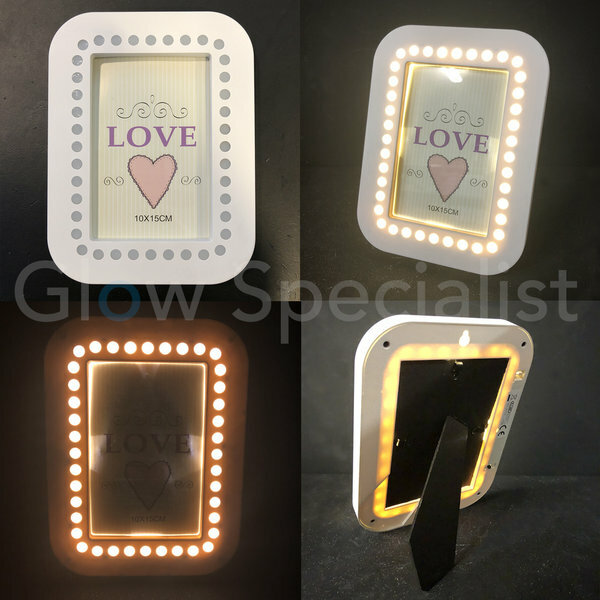 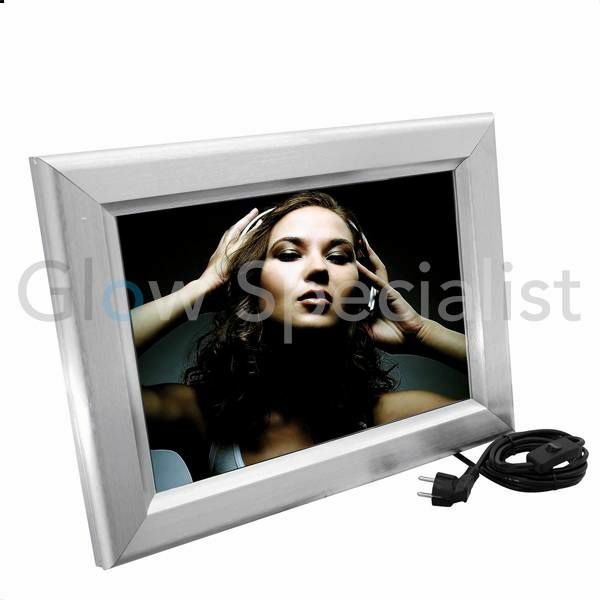 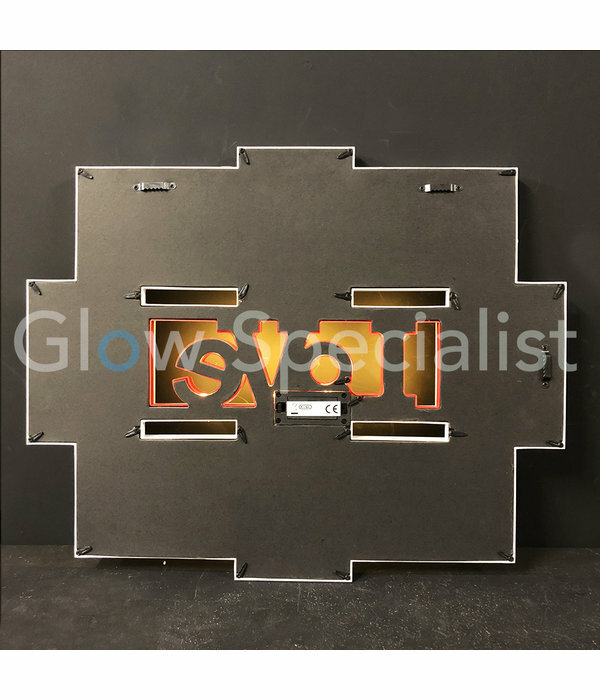 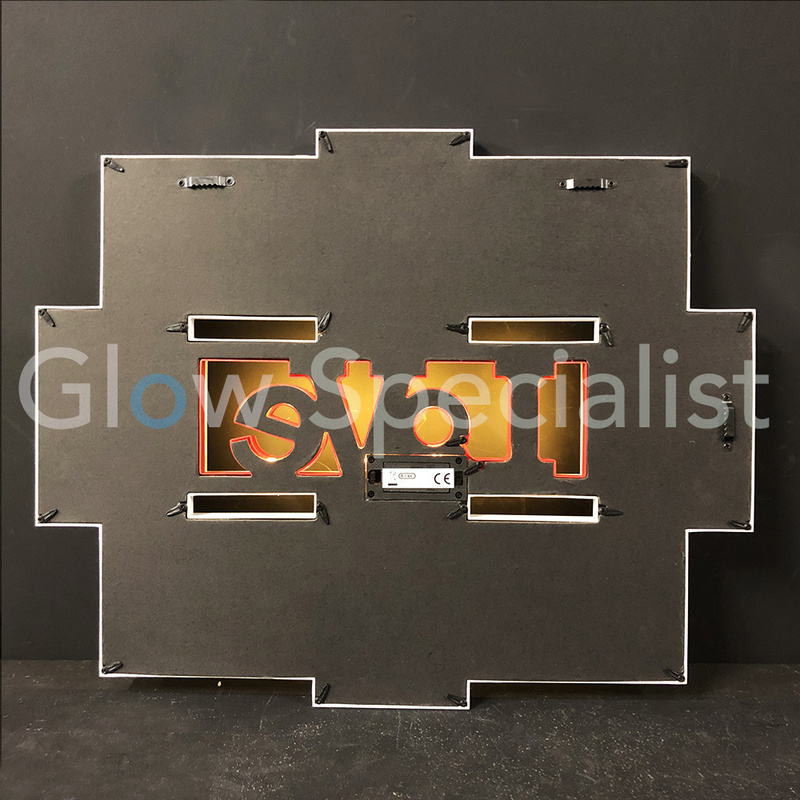 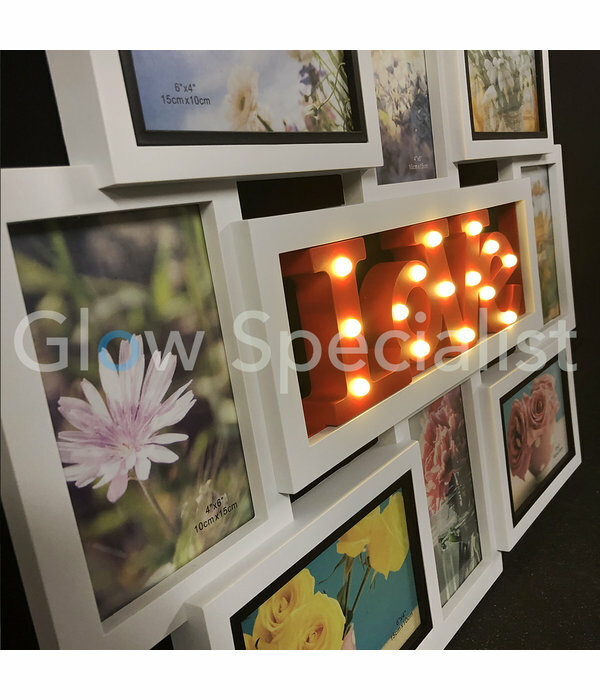 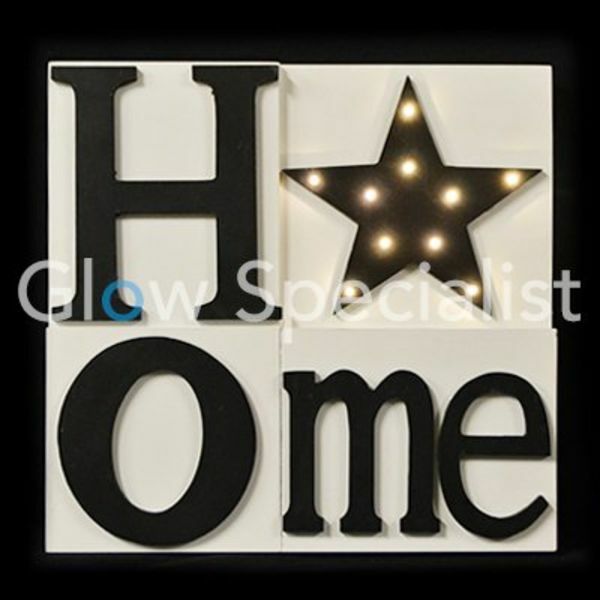 Glow Specialist is the specialist in Glow Gadgets, since 2005. 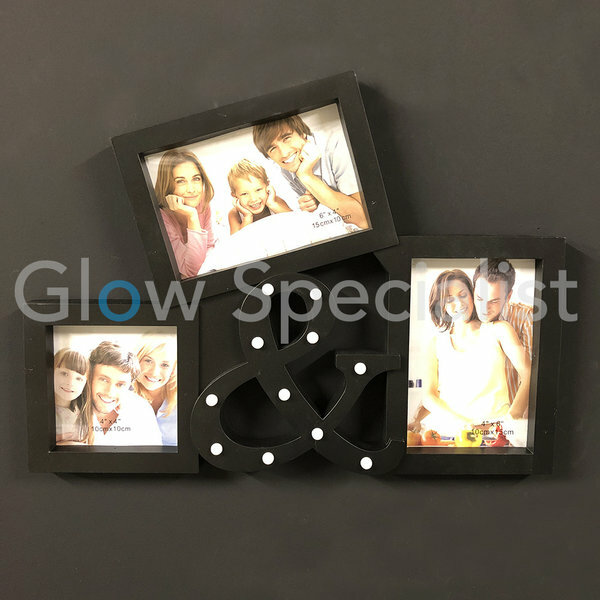 Fast delivery and fun products.